Back Row: Charles Toman, Unknown, Mr Lowe (Boscawen Stores). 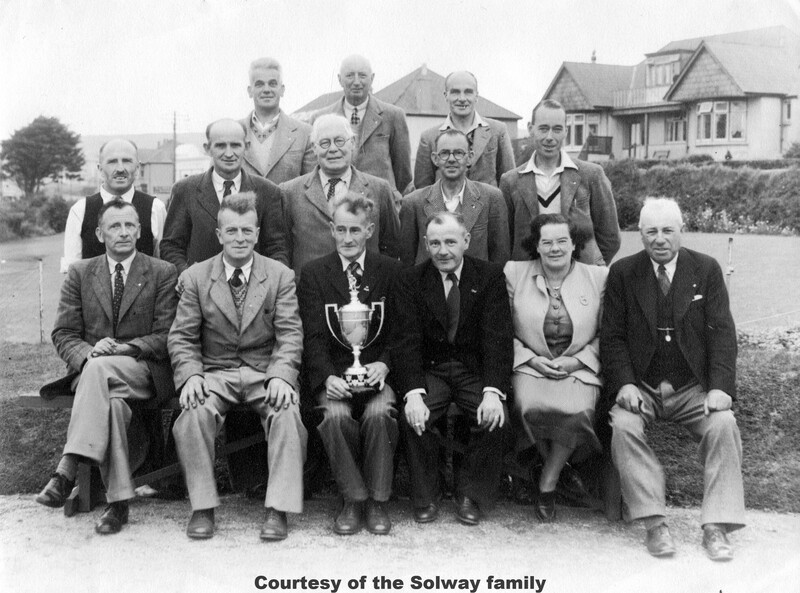 Middle Row: Percy Pearce, George Solway (of Goonhavern & Solway’s Garage Marazanvose), Dr Fuller ?, Stan Smith, Eric Payne. Front Row: Edgar Tregonning, Owen Cowling, Charlie Rippon, John Roberts, Grace Menadues, Tom (Palley) Mitchell.